View basket “VCLFO 10” has been added to your basket. 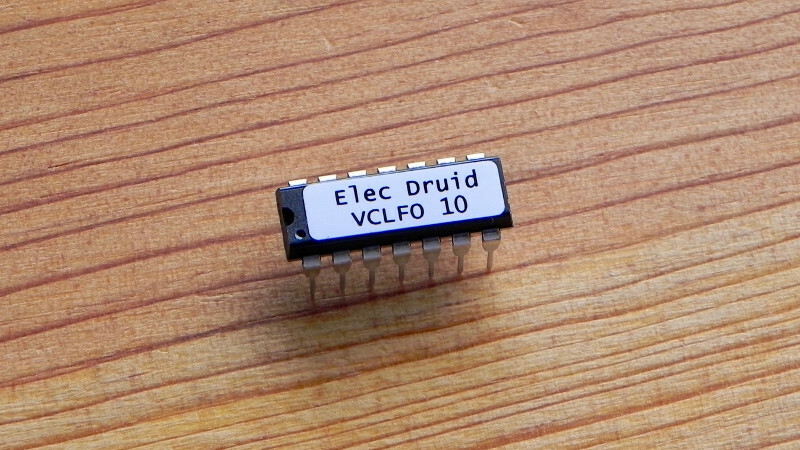 The VCLFO 10 is a simple-to-use 0-5V voltage-controlled LFO chip with many more features than your average LFO.It can produce 16 different waveforms in two banks of eight, including a wandering random wave and a noise source. Waveforms can be further shaped by the Wave Distort feature. There is an optional sample-and-hold module that can sample whatever is selected, the current waveform or the noise or random source. 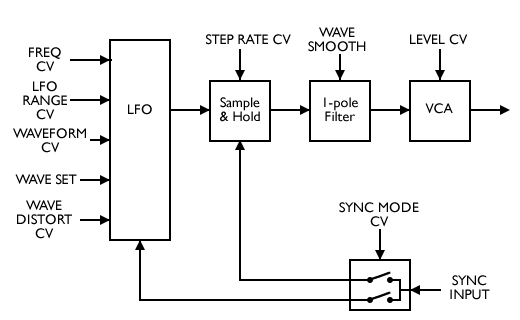 The LFO frequency, waveform selection, waveform distortion, S&H rate and output level are all voltage-controlled using 0-5V. 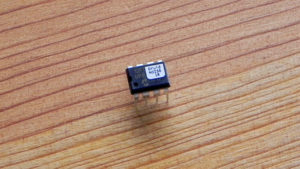 This chip is an upgraded (but still compatible) version of the original VCLFO 9D chip. 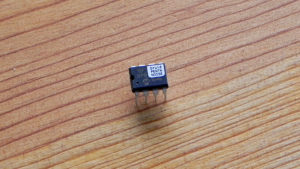 It offers an improved sample rate (31.25KHz instead of 19.5KHz), better waveform storage resolution (16-bit instead of 8) and no longer requires use of a timing crystal. Additionally, it is now possible to configure the chip for inverted CV inputs, which makes dealing with CV mixers very simple. Another new feature is the optional on-chip waveform smoothing filter, which is designed to remove clicks caused by feedthrough in application circuits like tremolos. Brilliant chip, hours of fun to be had with it. No end of variations with the Sample & Hold. Only problem I have is that I cannot get the sync to work. I built the basic circuit supplied, but neither the LFO nor the S&H will reset when I send a 5V pulse in. 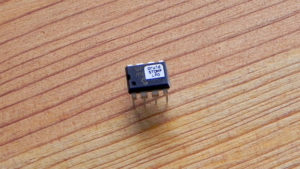 I have the Sync Mode pin 8 tied to 5 volt. Should this work? It *should* do. I wonder what’s going on? Have you got all the other pins connected? 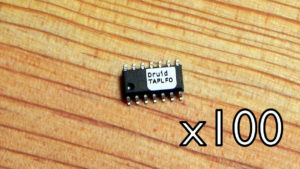 Sometimes the chips go a bit haywire if they’ve got a floating input, and it often isn’t the floating one that goes weird.